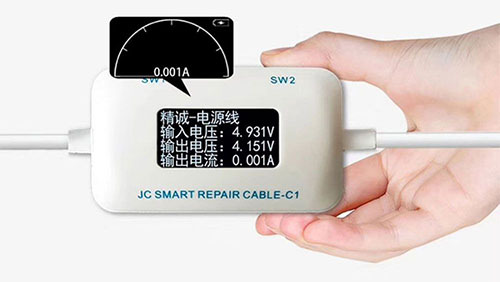 JC C1 Smart Repair Box is special for 6/6P/6S/6SP/7/7P/8/8P. 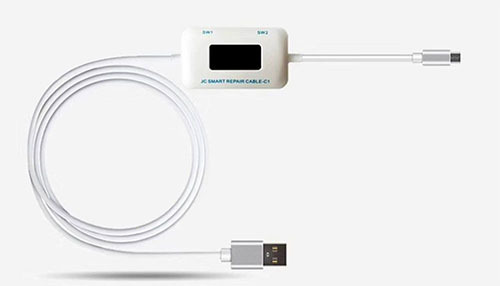 Come with repair Box, it can support brust test, boot detection, charging/rooting/fault detect to avoid battery. 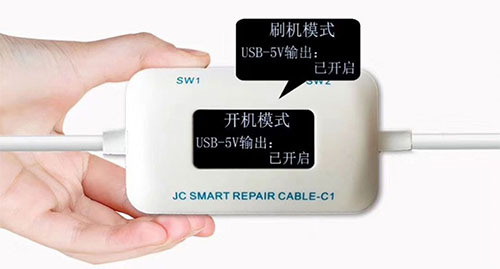 Press Sw1 to shift the boot-on mode/Brushing mode, press SW1 for 3-second to shift the Chinese/English version. Press SW2 to shift the current display mode(Dial mode or Digital mode),press SW2 for 3-second to boot on the PCB or phone. 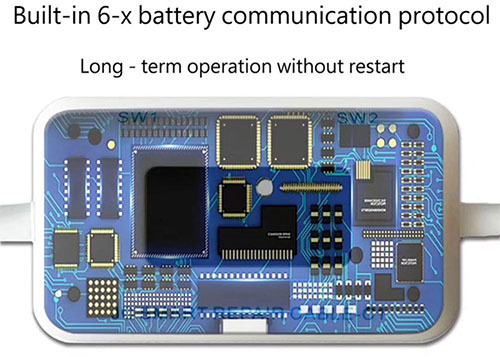 Connect C1 to PC or USB adapter,then put the PCB in the correct location of the repair box,then press SW2 for 3-second to boot on the PCB or phone.